Silverstack offers a flexible way to experience a great asset preview of your projects, bins, folder and camera rolls. We incorporated a feature allowing you to define your own thumbnails to get a better oversight of your shots – scenes – takes and gives you the opportunity to navigate faster inside your library and locate clips with one click. By default, Silverstack analyzes the length of a clip and picks the thumbnail image from the middle of the take. You can customize the default behavior in the preference menu. The thumbnail position can be set to “Begin”, “Middle” and “End” of a clip. If you want to recreate your thumbnails you can do so by making an asset selection and then click in the “Edit” menu “Recreate Thumbnails”. All selected assets thumbnails will be recreated. While this is suitable for most occasions, it might happen that the preferences of the clip is by coincidence a black frame, a meaningless moment like blue sky or a frame that is not in focus which won’t help you to identify the right take from the table view, collection view or neither in the reports. To customize your reports or Table/Clip View with a thumbnail that matches your criteria as a DIT simply mark the clip and switch into the Playback View to locate the right frame. 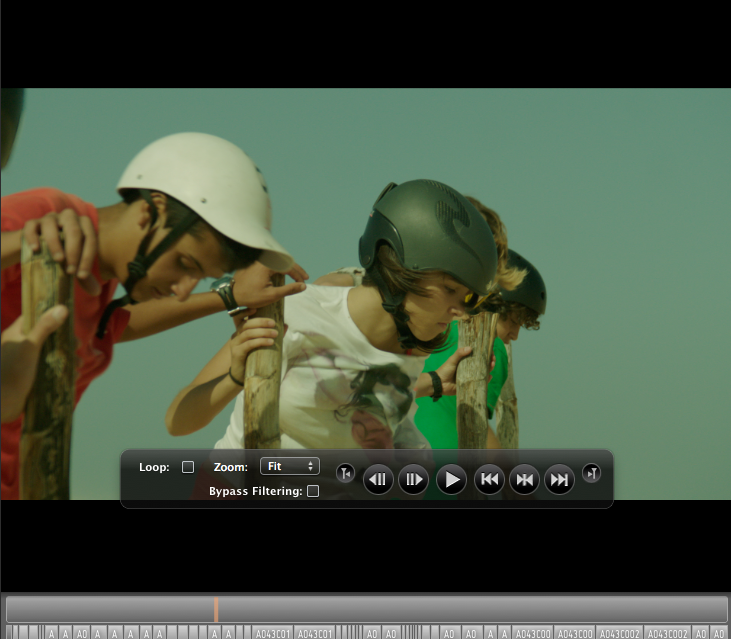 From there you can scrub to the desired frame and set your thumbnail via the Main Menu entry in “Edit” – “Set Thumbnail Frame”. 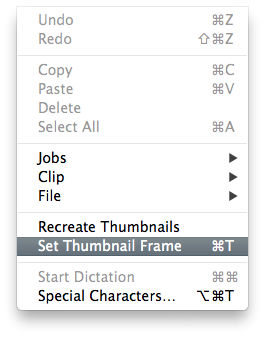 You can alternatively use the Shortcut ⌘ + T to set the thumbnail. Note: You can only apply the ” Set Thumbnail” feature to Assets that have advanced playback support in Silverstack. You can find more information about assets in this article. Warning: If you recreate thumbnails with the function in the “Edit” menu all the previous thumbnail images will be erased and replaced with the actual setting of the preference.